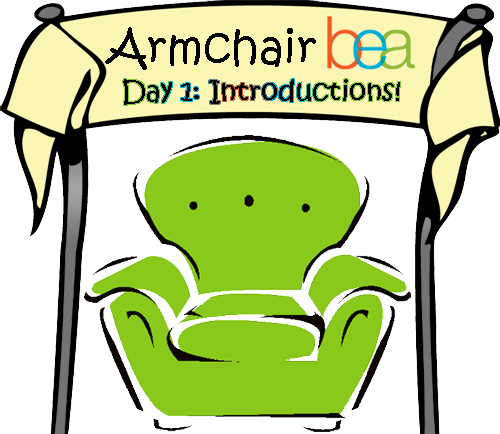 Squeaky Books: ABEA Day 1: Introductions! I'm participating in Armchair BEA. The awesomeness that is ABEA would take too long for me to explain, so you should click here to find out all there is to know. I'm Enna Isilee, which is not my real name but I think I've actually reached a point where I have more friends that call me Enna than that call me my real name. I've been blogging for almost 5 years (blogoversary next month!) and I started blogging to get free books (BAD ENNA!) but I kept blogging to keep a record of what I read and to connect with other book-lovers. I have two jobs: one in a library, and one as a snake/reptile handler. No joke. I really like my IMM vlogs. I know many people don't like them, but they're one of the few times I get to share some of my favorite songs as well as books. They make me happy. Hopefully going just as strong as it is now. I don't plan for a whole lot of growth because I'm happy with what my blog has become, and the next five years are going to be a time of much changes in my personal life. If I can just keep squeaking, I'll be happy. For the last year I've been dying to go to Prague because of The Daughter of Smoke and Bone by Laini Taylor. It just sounded so magical! I just love interacting with other book lovers. Really. I wasn't kidding when I said I have more friends that call me Enna (AKA I first met online) than I do that call my by my real name, in real life. I owe blogging for most of my real social life, not just my online one. I do hope we'll somehow reach a point where blogger envy will die away. But seeing as that's more of a human issue, not a blogging one, I'm not sure it will happen. A girl can dream! I've been to Prague and it really is as amazing as Laini wrote it. And I like to watch your IMM vlogs just for the fun t-shirts you wear :) Enjoy your Armchair week! It is awesome that you've been able to meet so many bloggers in real life and call them friends. I would love to actually really meet people one of these days! Is it weird to you when people call you by your real name? The only reason I ask is that a few years back, I tried to go by my middle name, Elyse. Everyone at work made the transition, but everyone in my personal life couldn't. So, I was two people basically. I eventually went back to my first name because I didn't like being two different people. But, out of it, grew my online personality, Jenni Elyse. So, it was good in a way, but I just wonder how you feel about it. Oh, and what kinds of snakes and reptiles do you handle? Meaning, do you handle poisonous ones and is it scary? It is REALLY weird when people call me by my real name who first knew me as "Enna." Emily texted me the other day and said my real name and it just felt... wrong. I very much prefer being called Enna by people who first knew me by that name. My family can't call me Enna. And it would be weird if they did. It's not hard for me to balance the two names because they're almost two different people inside me. Enna and (insert real name) have rather different personalities. I usually call you Ennalee when I address you, but when I talk about you to other people, I use your real name. In my head, you're both interchangeably. As someone who has been to Prague, and then read the book, it's amazing to read something so well written and imagine putting the two together. You definitely should go someday - prague is one of those cities that just begs to be written about, not just because it's beautiful, but because it has a feel to it that just... asks for it. Whoa I didn't know you were a reptile handler! When I grow up I want to work in a library too :) I love your banner that you made. A lot of people know me more as Girl Who Reads rather than my real name. Another thing we kind of have in common is I used to be a zoo keeper. You can learn that and more in my intro post. Oh my goodness! I can't believe you started a blog to get free books. Shame! Right, as if I didn't start with some similar idea in my addled brain. Please don't send your pet snake out to bite me. I haven't read Daughter of Smoke and Bone. Is it really all that and a bucket of chicken? Because if so there is a library copy with my name on it. Well, "Enna", it is a delight to get to know you. I love your jobs, and have a keen interest in the latter as I owned many lizards not so long ago. I had a Blue Peruvian Iguana, a Skink, and 4 Anols. I have dogs now. Way different. You work with snakes? That's so cool! I love snakes, because even though they can be kind of scary, they're also so interesting!